Today, Thursday the 11th, the Video Guerilha project created by the VJ Alexis Anastasiou from the Visualfarm will take place in the Rua Augusta. The event, lasting three days, will be held between the streets Fernando de Albuquerque e Marquês de Paranaguá, always starting at 8 pm. 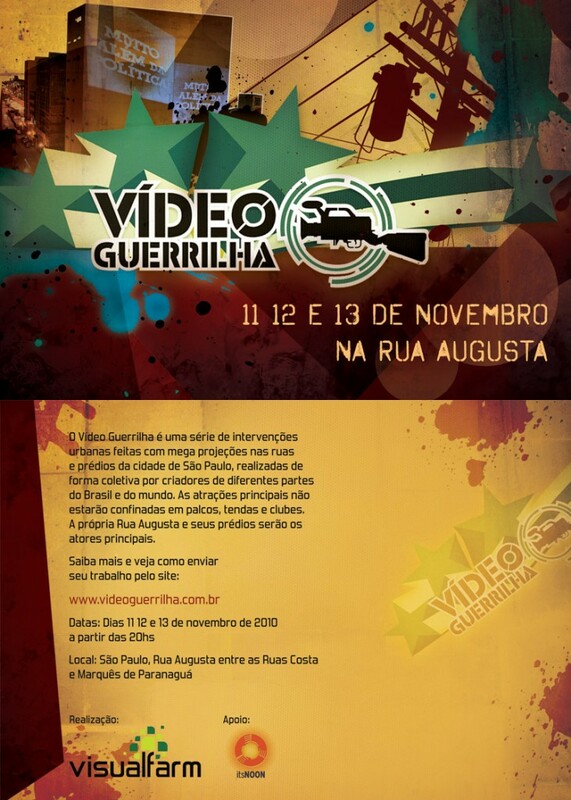 With media-art interventions on the buildings, the Video Guerrilha will be held collectively by audiovisual artists from different parts of Brazil and the world. Its innovative format will transform the Rua Augusta area in an outdoors art gallery and open to the public. The event explores the possibilities of transforming urban spaces through installations, virtual graffiti and projection of giant images. 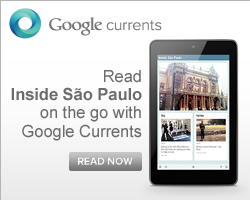 Have a look on this amazing Video Guerilha made in Rio de Janeiro. Hi Jay, did you take any picture of that? The new movie of Woody Allen in Sao Paulo.